Before you press the first button on the coffee pot or the radio, press pause on your thoughts for a moment. 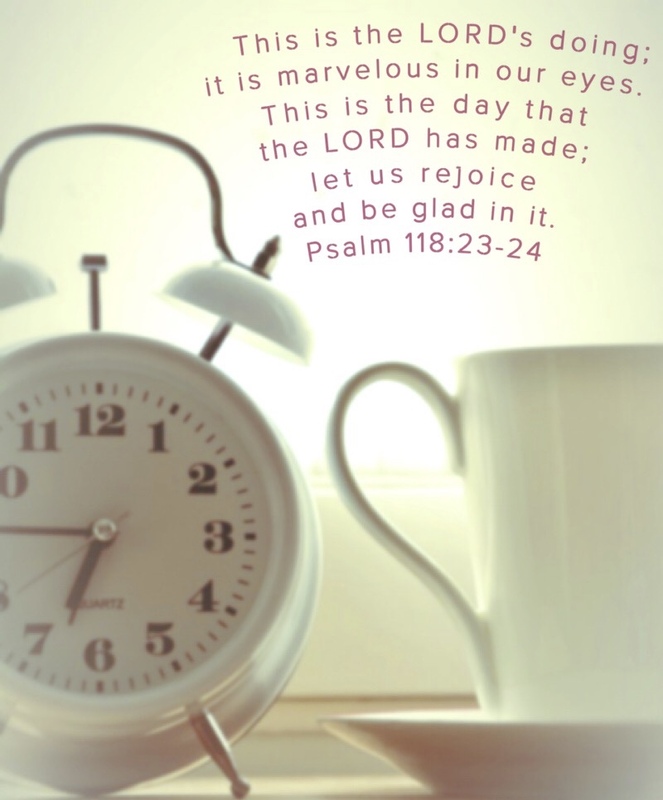 Lift your eyes above the demands that greet you this morning to the Father who loves you. Whatever happened yesterday has no power over this day. Whatever awaits you tomorrow has to wait for tomorrow. Today, this day, is a gift. Open it slowly, delicately, and with great anticipation. Vow to look more intently for the Lord's hand today. Ask Him to show you ways to love those around you well. Determine to listen intently to the words entrusted to you today. Thank Him for the tasks He's entrusted to you, too. Long before you knew where you would be standing today, He saw. He knew. There are blessings you'll miss if you get ahead of your King today - opportunities to shine His light into dark corners where beloved children have been waiting to catch a glimpse of it. Ask Him to show you. Maybe there are concerns, fears, doubts tugging on your heart like a child tugging on his mama's blouse for her attention. Tell the Boss about them. Tell Him you need some help dealing with them. Delegate every last one to your Father who loves you as you seek Him in all things in all the hours of this day. Moment by moment, determine to keep your face fixed toward the Giver of Hope today. Take a good look around. Praise Him for the provision you see. Praise Him even and especially if you don't feel like praising Him. Praise Him with your lips until your heart catches up. When your thoughts get loud, let your praise be louder. THIS is the day the Lord has made. Arise, sister. Rejoice. 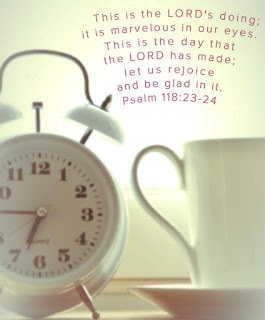 Be glad in it.